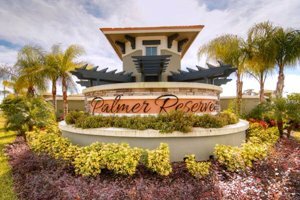 Palmer Reserve is an infill residential development on the flanks of well-established neighborhoods on Palm Boulevard just across Tatum Ridge Elementary in east Sarasota. Its developer, Ryland Homes, started building Sarasota homes for sale in this community sometime in 2014. Completion of Palmer Reserve eventually came under CalAtlantic Homes following the merger of the Westlake Village, California-based Ryland with another major builder, Standard Pacific of Irvine, California in 2015. This development is a follow-through of Ryland’s 77-home project, Palmer Lake, which it launched in 2013 in a Palm Boulevard parcel about a mile and a half east of Palmer Reserve. The Palmer Reserve property consists of some 27 acres planned for 90 home sites with many platted around the parcel’s two man-made ponds one of which has a beautiful fountain accent. 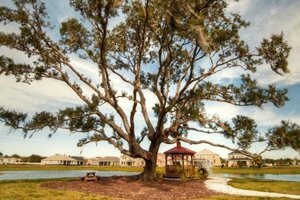 Besides water views, this community likewise offers a tree-shaded gazebo and a tot lot characteristic of family-oriented residential developments. The homes for sale in Palmer Reserve typically come in floor areas of between 1,260 and 3,220 square feet designed with four bedrooms. These residences are mostly two-story builds priced in the $300s up to the $400s. CalAtlantic’s builds at Palmer Reserve are the result of Ryland and Standard Pacific’s over 100 years of combined experience in property development and home construction. The Palmer Reserve community was meticulously planned with conservation of the Earth’s resources as a main guidepost. With this focus, energy efficiency is an element foremost to the market value of Palmer Reserve homes for sale. As enticing for prospective buyers of Sarasota homes for sale, Palmer Reserve enjoys proximity to various local points of interest. One is the popular Celery Fields which is less than a mile west of this property. 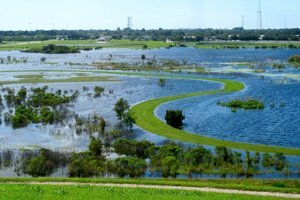 Likewise located off Palm Boulevard, this 300-acre park and stormwater facility is an ideal destination not only for bird watching and kite flying but also for walking, running, biking, and horse riding. In addition, the park features a 75-foot man-made hill with benches on its peak for visitors to better appreciate the area’s scenic setting. Avid golfers in search of Sarasota homes for sale at the Palmer Reserve neighborhood will also be pleased to note that the residences here are just minutes from the Tatum Ridge Golf Links. This semi-private course on Fruitville Road next to Palm Boulevard towards north was built in 1989 with its layout designed by renowned course architect Ted McAnlis. This course is a Scottish-style, 18-hole layout featuring par 72 play on 6,745 yards traversing nature preserves, wetlands and 11 lakes. The golf club has a large practice area and hosts the Tim Conaway Golf Academy. Other club amenities include a pro shop and a restaurant. Major road corridors nearby add to the market appeal of Palmer Reserve homes for sale. Via Interstate 75 west of the community, access is convenient to the Mall at University Town Center and the lifestyle attractions of Lakewood Ranch’s Main Street. This highway likewise links the community with other northern urban hubs at St. Petersburg, Tampa and Pinellas County. Transit to downtown Sarasota is even more convenient westward through Fruitville Road whose arterial roads already teems with plenty of urban hubs offering not only leisure activities but also career opportunities. Below are the current real estate listings available at Palmer Reserve.